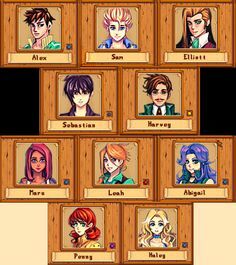 If your’re all about experiencing life in the countryside, the RPG farming simulation Stardew Valley will take you on a fun adventure! It was developed by Eric Barone for Microsoft Windows and released February, 2016. The game begins when the grandfather leaves a parcel of land with a small house. The land is in Stardew Valley and work is set out as soon as you choose a map. There are five maps, and each map contains a special feature that will help you run a farm successfully. It ranges from a river, a mining resource, etc. To start off, you have to till the land provided by grandfather using a few inherited farming tools and some coins to purchase what you need. The parcel of land is full of weeds, boulders, etc. so it is up to you to make it suitable for farming. 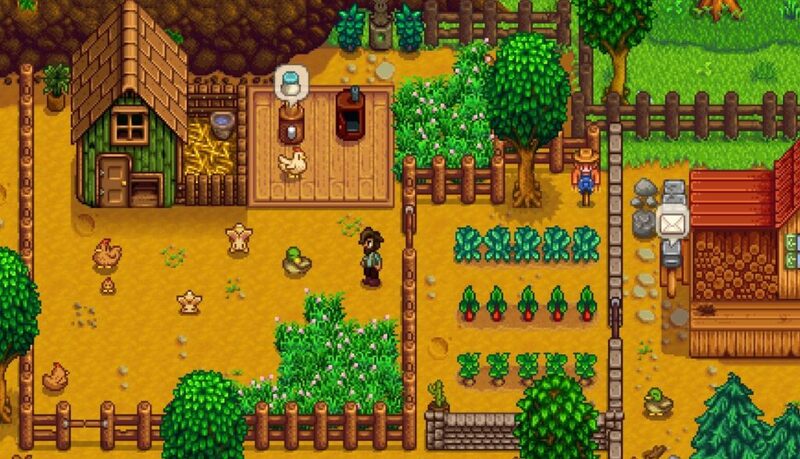 Learn how to farm using your land in Stardew Valley – grow crops, purchase more farm tools and machines, raise farm animals, etc. Socialize with more than 30 characters of Stardew Valley. Establish friendships, participate in festivals, interact with each character and learn to give advice on their troubles. The characters also have their own person in the game. Find a partner, marry her, and share a domestic life. Create your dream house from the available decorative items. Customize your appearance and dress up. Master five areas of skills in Stardew Valley. Learn how to farm, mine, fish, fight, and hunt. 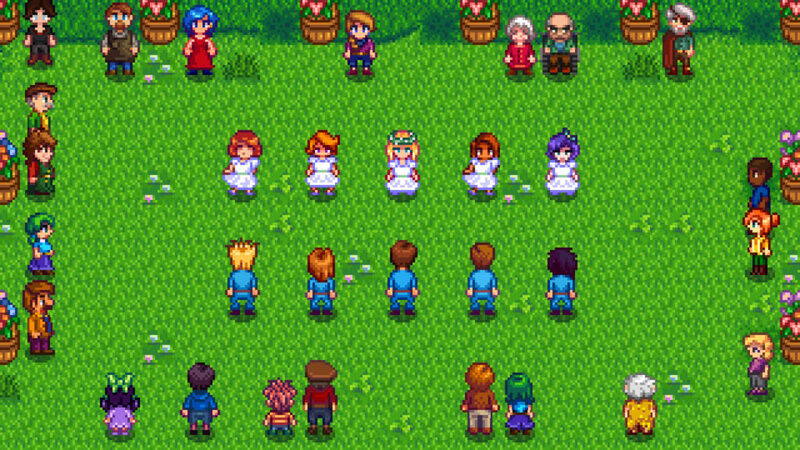 Join in restoring the glory that was once Stardew Valley before Joja Corporation came to town. Go on adventures – explore caves, give artifacts to the museum, learn how to cook meals, go fishing and more! Warning: Stardew Valley is highly addictive! 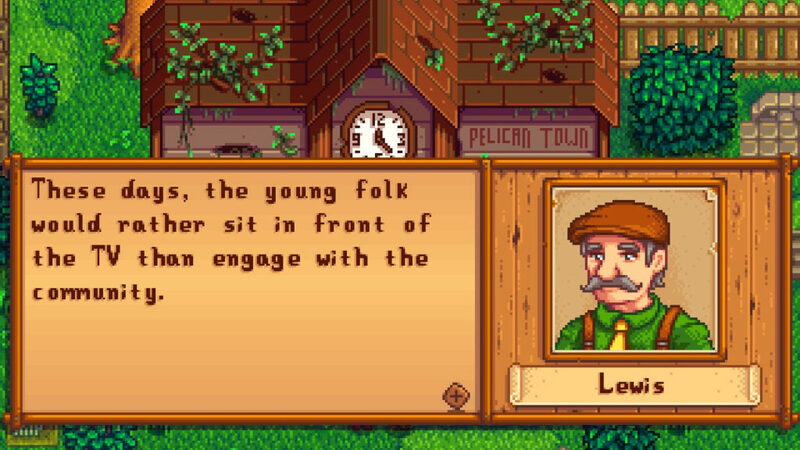 For a farming sim game, playing Stardew Valley is never boring. In fact, it’s actually fun, and there is no feeling that you’re doing things repetitively. There is no harried experience to the game, play at the pace you want. The game’s graphics has that retro style to it and coupled with the very relaxing music, you’ll love spending hours on end just simply farming, fishing or interacting with the other characters. And oh, the writings? There’s that certain level of emotion and poignancy that’ll draw you in! For more game reviews of the latest video and PC games, go to Bundle in a Box. Stardew Valley is highly addictive! It’s actually fun, and there is no feeling that you’re doing things repetitively.